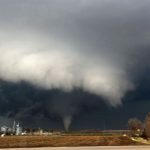 While much tornado research in recent years has focused on whether storm intensities and frequencies are increasing as a result of climate change, a new study by Northern Illinois University scientists points to suburban and exurban sprawl as the most prominent cause for alarm. 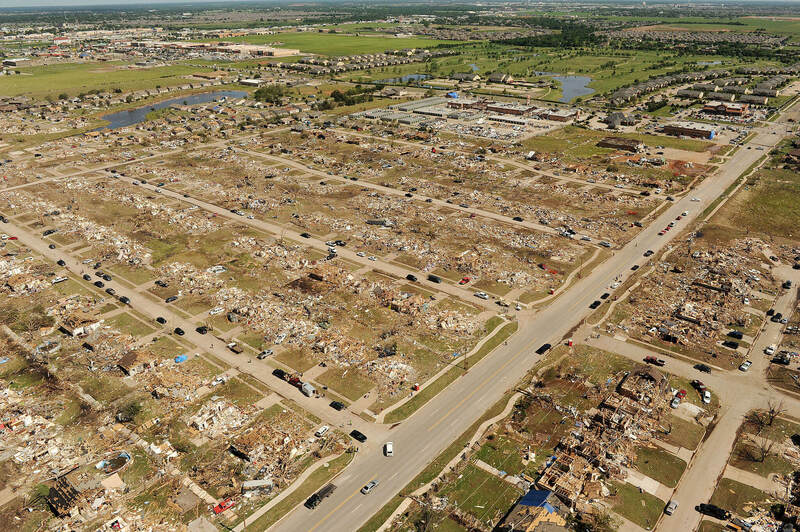 An aerial view of the damage caused by the 2013 tornado that touched down in Moore, Okla. Source: FEMA Photo Library. The scientists say sprawl has created an “expanded bull’s eye,” or larger tornado target, increasing the potential for disasters of a magnitude or greater to the 2011 Joplin, Mo. catastrophe, which claimed more than 150 lives and injured more than 1,100 others. “Let’s not miss the elephant in the room,” says lead author Walker Ashley, a professor of meteorology in the NIU Department of Geography. “The acceleration of development and sprawl results in an expanding bull’s-eye effect that will undoubtedly generate more frequent and higher impacts from tornadoes. The study by Ashley and Stephen Strader, an NIU Ph.D. candidate in geography, will be published in an upcoming edition of the Bulletin of the American Meteorological Society. Contrary to what might be expected, it’s not the Central Plains’ “tornado alley” that is most vulnerable to tornado disasters but rather the mid-South and Midwest, the scientists say. The mid-South includes parts of Arkansas, Tennessee, Alabama, Georgia and Mississippi. The researchers used data on housing growth, tornado frequencies and theoretical tornado footprints to illustrate how disaster exposure has increased in tornado-prone regions of the United States. Footprints were calculated by multiplying a tornado’s estimated width by the length of its path of destruction. The study found that the mid-South region has the largest aggregate tornado footprint of all regions examined. Between 1950 and 2010, the number of U.S. housing units increased by 98 mil­lion, or 377 percent. 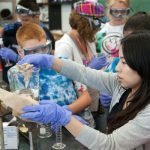 Most of the growth has been experienced in the exurban and suburban areas surrounding cities. Of the tornado regions examined in the study, the mid-South has experienced the highest percentage growth in housing units—nearly 800 percent. The Central Plains region has had the second highest percentage increase at 472 percent. 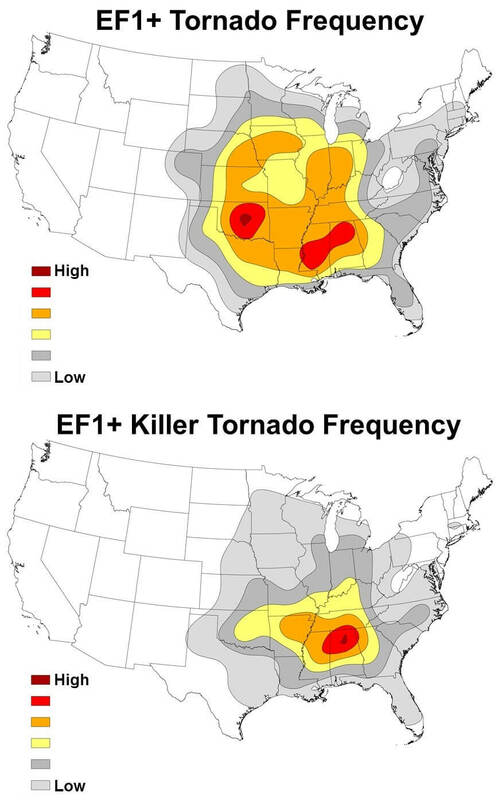 Tornadoes in the Midwest have smaller footprints than their counterparts in the mid-South and Central Plains. Yet the researchers say the region ranks second in overall exposure to disaster because it has more total housing units and sprawl than the Central and High Plains. To demonstrate the influence of sprawl on hazard dynamics, the scientists used three deadly tornadoes as case studies and modeled hypothetical damage trends for each tornado over time. The EF5 tornado that ripped through Newcastle-Moore, Okla., in 2013, damaging about 4,000 homes, would have impacted a tiny fraction of that in 1950—perhaps fewer than four dozen residences, the researchers say. The massive EF4 tornado that tore through Tuscaloosa, Ala., in 2011, damaging thousands of homes, would have affected roughly half as many residential properties in 1970. More than twice as many homes are now located in the path of the EF5 tornado that roared through Plainfield, Ill. in 1990. “These comparisons underscore how growing populations and expanding development have led to greater tornado exposure and disaster potential,” Strader says. 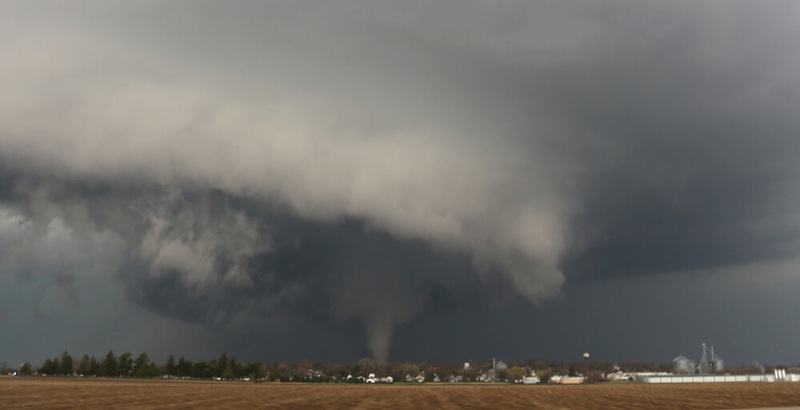 The April 9, 2015 tornado as it passes to the north of Ashton, Ill. Photo courtesy of Walker Ashley. During the better part of the 20th century, annual tornado death tolls and mortality rates were in decline despite U.S. population growth. But beginning around 1985, the decline stalled, with mortality rates holding steady, or increasing in some regions. 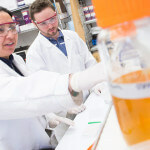 The researchers note that their study has limitations. While it examined changes over time in the number of homes and people potentially exposed to tornadoes, other factors also can play significant roles in contributing to disasters. “Tornado disaster severity is often dictated by such things as the quality of housing, daytime vs. nighttime tornado events and even cultural complacency,” Strader says. “We think all of these factors would be exacerbated by the expanding bull’s eye effect. What if April 9th tornado had taken different path?